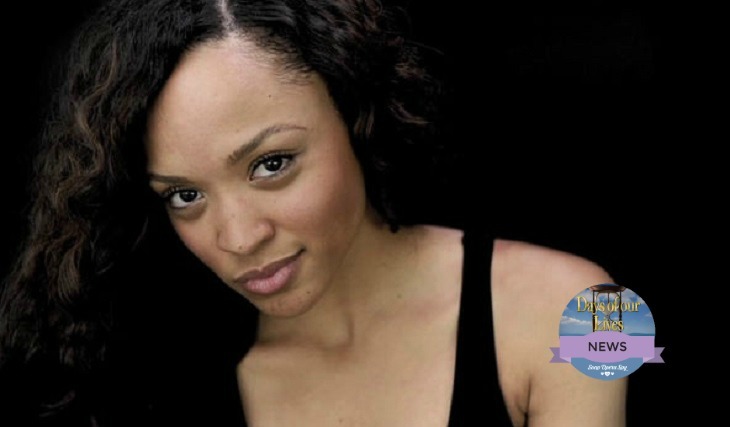 ‘Days of Our Lives’ spoilers tease another return is coming up and this it’s in the form of Sal Stowers as Lani Pryce. According to Jason47, Stowers has returned to the NBC soap opera for an unknown period. Stowers was seen in the 13,000th episode cast photo which brought about the speculation of her return which is now being confirmed by Jason. Sal Stowers was a part of the most recent bloodbaths in daytime casting where we saw four soap stars given their walking papers. The four stars included Marie Wilson [Ex- Summer Townsend], Martha Madison [Belle Black], Brandon Beemer [Shawn D Brady] and Sal Stowers. She was the first of the four to make an exit where her last episode aired in June of this year. Related: The Prisoners Wreak Havoc – Which Salemite Will Be Killed? A first airdate for the actress is yet to be revealed but Jason is predicting that it would be by January the latest since the show tapes so far in advance. Stowers is second of the four to be rehired by the NBC soap opera. Soap Opera Digest recently confirmed that Martha Madison was also asked back and would first be seen in early 2017. We could understand why the new co-head writing team would want to give the character of Lani Pryce another shot. Her story was short-lived and fans never really got the chance to connect with her. Viewers only learned that she was Abe’s [James Reynold] daughter and Theo’s [Kyler Pettis] sister but there was not enough family scenes. We also do not know as of yet if this will end up being just another short stint for the actress or if she is being brought back on contract or a recurring status. As soon as Soap Opera Spy learns more about the actress’ return we will update you. Smart moves bringing back Lani and Belle, I like both characters, but if they are bringing back Belle, what about Shawn? I would like to see where it will go with Belle and Shawn. Lani is so pretty, would like to see her have a romance since Shawn wants Belle. I liked Finn, not as much as Daniel so he would be a good catch for Jennifer or Lani. I am so glad she is coming back!!! She should have never been fired in the first place that was a bad move. They never gave fans a chance to get to know her so yaaaaaa!! !